Apprentis d’Auteuil and its partners put in place support, social and professional measures adapted to the difficulties faced by youth and to business needs. Throughout the world, 69 million school-age youth or those who could be trained are excluded from the school system. 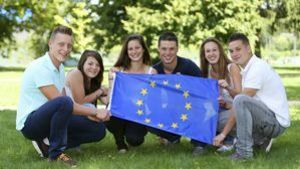 In Europe, "Eurofound" has identified five million young people who are qualified as "Neet*" – their number has progressed by 35% since 2009. In France, different studies converge to tally 110,000 youth who each year leave the school system without a qualification. In terms of employment, 25% of those in the 16-25 age group are faced with long-term unemployment and this number reaches 47% of the unemployed for youth aged 16-25 who have not obtained a diploma. Paradoxically many sectors regret the difficulties in recruitment including those with basic qualifications. The situation is the same, even more intense, in European countries and alarming in many other countries. These "unqualified" youth are not incompetent, but they cannot find the resources and tools they need on their own to enter the job market. Learning a job skill is not always enough for insertion. The young people need to acquire certain social skills and learn to manage their life on a daily basis. Personalized support is needed. Apprentis d’Auteuil and Moroccan organisations L’heure joyeuse, Al Karam and Eclats de Lune have been working together for several years, looking for the most suitable careers guidance, training and integration courses for at-risk individuals. In Casablanca, Marrakech and Safi, Careers Guidance and Employment Centres (COIP) target young people with few or no qualifications aged 15 to 24, to facilitate their integration by enhancing their employability and/or entrepreneurial abilities. The goal of the COIP is to overcome the lack of information and guidance schemes for young people with few or no qualifications. Overall follow-up of the youngsters has three main functions: educational (by giving them general skills), economic (acquiring specific skills that meet the needs of businesses in the job market)and social (by giving them values and life skills for integration into society). Based on our experience in France, in the reception, education, and training of young people in difficult situations and with our international partners, Apprentis d’Auteuil have put in place, support, social and professional measures (taking action after a period of discouragement, intermediation toward employment, training, social entrepreneurship/companies…) adapted to the difficulties faced by youth and to business needs. We also continue to share and experiment new and innovative solutions. In addition to job skills training, we also work on the interpersonal skills needed to work in a company as well as building autonomy and strengthening the proficiency of our support skills with an eye to professional insertion. * Neet: Youth without a job, education or training. ** Intermediation toward employment: This is about actively guiding young people in their approach to businesses. The guide identifies potential employers, job opportunities and the skills needed. Subsequently, the alignment between job skills and employers needs facilitates recruitment. The guide then conducts a regular follow-up until the person is totally integrated in their new job. 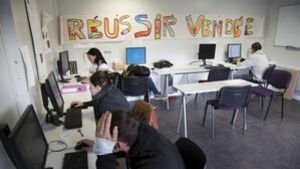 In Vendée, a group of small and medium size companies and large groups have rallied with Apprentis d’Auteuil to create an assistance to insertion service for young people between the ages of 16-18. This service enables youth to discover different occupations during short-term training. According to their needs, they will be offered remedial classes and work on particular difficult areas for them: family relationships, managing interpersonal problems, accommodation issues… At the end of this first step, they are accompanied with their professional project until they have long-term employment. The originality of this measure, closely linked to a network of committed businesses, is to guarantee to young people global, professional and social support. The Democratic Republic of the Congo: Has set up a training and employment support platform. intergrates locally the intermediation** methodologies toward employment. **Intermediation toward employment: This is about actively guiding young people in their approach to businesses. The guide identifies potential employers, job opportunities and the skills needed. Subsequently, the alignment between job skills and employers needs facilitates recruitment. The guide then conducts a regular follow-up until the person is totally integrated in their new job. Based on the analysis that youth have many intrinsic skills that they are not aware of, this platform offers them the possibility, via group workshops, to identify their strong points and pinpoint areas which need strengthening. Secondly, the young people complete basic skills training (reading, writing, counting and even a foreign language) and design their project (further education or employment). Finally, they are helped in their job search and in their job placement, or enrolled in further education. This platform illustrates the benefits of cooperation, mixing an American mobilization tool called "life skills," Apprentis d’Auteuil’s expertise "education and the organisation of a personalised process" and the ability to welcome street children from our Moroccan partner. France (South-East region), United Kingdom, Germany, Italy: Creation of a business incubator for young entrepreneurs. Financial startup: Apprentis d'Auteuil’s expertise joins with the microcredit measures developed by the ADIE***. Development within the business incubator: assemble on the site young creators who can benefit from long-term support, which in addition to sharing resources, gives them the possibility to avoid the pitfalls faced by newly established businesses. ***ADIE: Agency for the development of Economic Initiative. ADIE has been the main entrepreneurial microfinance association dedicated to young creators for more than ten years.